St Salvators Chapel, St Andrews, is a excellent example of Late Gothic architecture. Founded in 1450 the chapel has a long history. Originally founded with a missionary as well as an educational function the chapel is still in use today for sunday services and many a wedding. 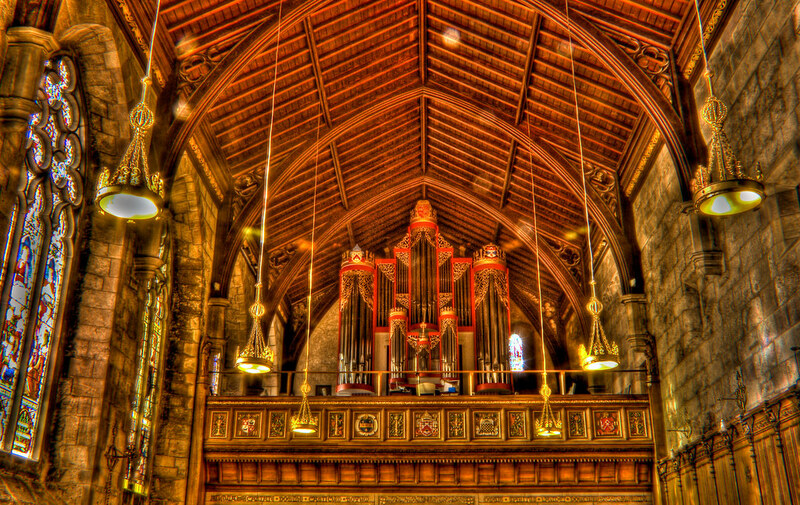 This is a shot taken from the front of the chapel looking backwards, it shows the ornate chapel organ which sits up on its own platform above the congregation at the rear of the chapel. This entry was posted in Church, Fife, Medieval, Scotland, St Andrews and tagged chapel, Church, fife, hdr, Medieval, Scotland, scottish, skreid, St Andrews, university. Bookmark the permalink.